My Bargain Basket: My Publisher: Buy One Photo Book and Get One FREE! 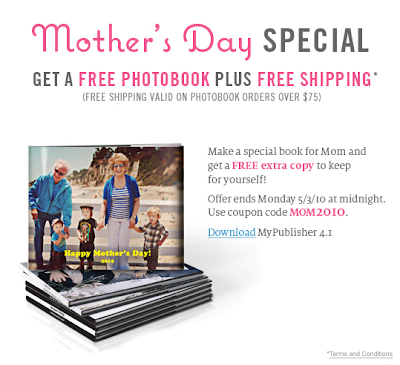 My Publisher: Buy One Photo Book and Get One FREE! Buy One Photo Book and Get One FREE using MyPubisher! Use coupon code: MOM2010. Plus get FREE shipping if you order $75 or more.